Michelle concentrates her practice on employee benefits counseling. She counsels a variety of clients, including for-profit, nonprofit, governmental, and church organizations on qualified and non-qualified plans and welfare benefits arrangements. Michelle advises clients in relation to defined benefit and defined contribution pension and profit sharing plans, employee stock ownership plans, section 401(k), 403(b) and 457 plans, section 125 cafeteria plans, and deferred compensation plans subject to Internal Revenue Code Section 409A. She also advises clients on self-insured, fully-insured, and funded and unfunded welfare benefit arrangements. She assists clients with plan design and administration, fiduciary duties, disclosure requirements, and correction procedures. 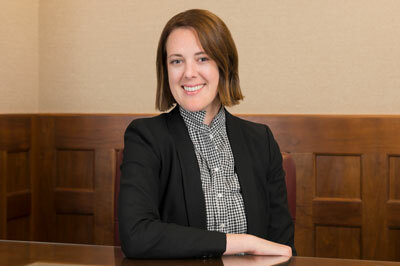 Michelle has experience amending and restating plans, terminating plans, applying for determination letters, and preparing submissions to voluntary correction programs. She works with clients in dealing with the U.S. Department of Labor and Internal Revenue Service. She also consults with clients concerning compliance with the Affordable Care Act, COBRA continuation coverage requirements, and HIPAA portability requirements as well as other health insurance issues. to return to our renovated downtown Lincoln offices in the fall of 2019. © 2019 Cline Williams Wright Johnson & Oldfather, L.L.P.